Continuing Education for Interior Decorators: Is It Worth It? The prospect of “going back to school” can be daunting for interior decorators. For many, continuing education implies a major investment of time and money, which can be tough to manage for those of us trying to balance our independent business with our family. But continuing education doesn’t have to mean years of expensive schooling. Tradeshows, conferences, workshops, courses, and associations are all opportunities for education with a wide range of price tags and time commitments. Whether you’re a seasoned decorating professional or you’re just starting out, there’s always room to learn. You might set out to acquire a specific new skill. You might just be looking to stay on top of industry trends. Your goals will impact your choice of continued education—so let’s take a look at your options! Want to know what new trends are emerging in the decorating industry? Tradeshows are a good place to start. You’ll have a chance to see the most innovative new products and styles of vendors in your industry, giving you the opportunity to expand your design horizons. Make sure you bring a pen and paper, because you’ll definitely want to take notes! Tradeshows are also good places to scope out your competition. Checking out what services they’re offering and what new styles they’re trying out lets you stay updated on the landscape of the decorating marketing. It might also give you some ideas for changes to your own business or style! Plus—need we say it?—there’s a huge potential for networking. You’ll meet new vendors, including innovative start-ups you might not have found on your own, as well as other design professionals who could act as a major asset to your business down the road. Look out for vendors promoting novel products, too. If you’re hesitant about advising a client to go for a product that’s just hit the market, visiting the vendor at a tradeshow may be the perfect opportunity for testing it out. Whereas tradeshows are focused on displaying industry-related products and services, design conferences involves groups of professionals getting together to discuss new ideas. Conferences give you the opportunity to learn directly from major players in your industry, both well-established big names and up-and-coming innovators. Conferences are another great event for networking. As well as expanding your professional network, you’ll have a chance to share and build ideas with other design professionals, often from all over the country or even across the globe. Most conferences include a selection of prominent guest speakers and workshops, too, so go prepared to learn from design pros and share your own ideas. The downside is that many conferences are held in major cities that may require some travel time (and money) from you. If you can’t make it in person, though, some conferences will also let you register as an online participant, so you can watch the major conference events from the comfort of your own home. Interested in attending a design conference? IMM Cologne, MAISON&OBJET, Stockholm Design Week, and Design Indaba Expo are all major annual events in the design world. Is there a specialized design skill you’re looking to develop, like learning to create a certain style, expanding your skills for decorating a particular room type, or working with a new material? A workshop may be ideal for you. Often available online (and sometimes even for free), workshops tend to be a learning option with a low time commitment and flexible scheduling—perfect for a small business owner with a family! It’s worthwhile to keep an eye on your favorite design icons’ websites too, in case they decide to offer workshops. What better way to get an inside look at how they created the pieces in their beautiful portfolio or boosted their business to the top? If you’re just starting out and have no previous experience in the professional design world, taking a course is your best bet. You’ll gain practical skills from a seasoned professional, as well as individual guidance (depending on the quality of the course, that is!). As well as teaching you the essentials of interior decorating, a good course will help you get your design career started by teaching you how to network with other industry professionals, market yourself, and create a sustainable business. Don’t underestimate the value of a personal critique. While a free online workshop can be an amazing resource, a tutor can help you figure out whether you’re really understanding what you’re supposed to be learning. Having an experienced tutor provide feedback on what the strengths and weaknesses of your work are helps you direct your growth. Taking a course through a university or college can be a big investment, but it doesn’t have to be. 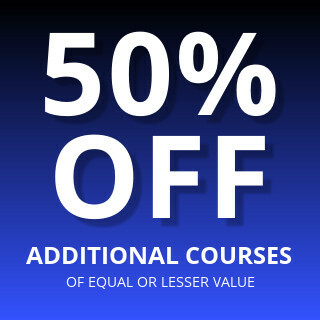 Online design courses let you learn at your own pace without the commitment of a classroom, and monthly payment plans help make your career change affordable. Many interior decorating and design associations represent both students and professionals, so don’t think you’re not “good enough” to join! Associations work to represent the interests of professionals in the design industry as well as maintaining industry standards. Joining an association can help you connect with other design professionals or vendors who are also members or affiliates, as well as giving you (yet another!) networking opportunity. Plus, most associations work to maintain a high calibre of design professionals by providing learning opportunities through courses, programs, workshops, and other resources. While these may not come for free, they may be opportunities exclusive to association members, or they may come at a discounted price. So is continuing education for interior decorators worth it? In a word, yes. The value you get out of it just depends on choosing an option that’s right for your goals. Are you looking for an affordable way to advance your career as an interior decorator? 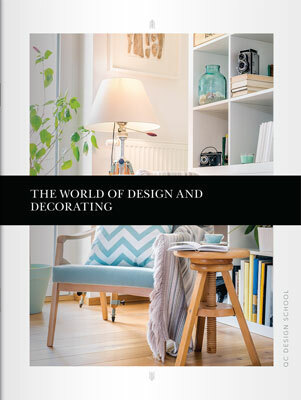 Check out QC Design School’s online interior decorating course.